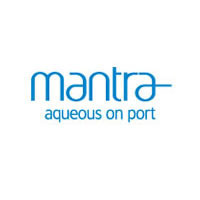 Situated just off Macrossan Street, Mantra Aqueous on Port offers a variety of accommodation options including hotel rooms and self contained one and two bedroom apartments. With a stylish design and contemporary feel that reflects a strong aquatic flavour, Mantra Aqueous on Port is the perfect place for a tropical escape or family holiday. Each room type offers, air-conditioning and modern tropical-style décor and most apartments feature pool views and all have private balconies with their own balcony spa.